Rin!. . 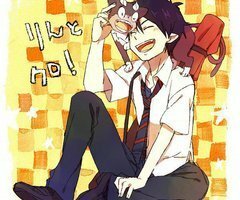 Wallpaper and background images in the Rin Okumura club tagged: rin okumura ao no blue exorcist. This Rin Okumura photo contains 애니메이션, 만화, and 만화책. There might also be 신사복 and 비즈니스 정장.